It is well known that Surya is extremely attached to his mother Lakshmi. 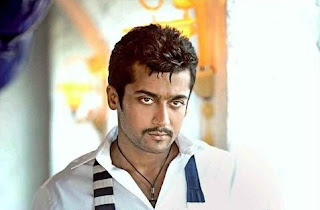 Despite being a big star, Surya is known to be really simple and lives in a flat with his wife Jyothika and two children, while his younger brother Karthi and his family stay with his parents. 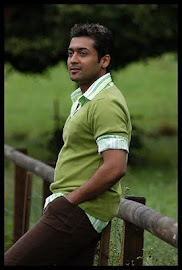 Surya's mother, who has a soft corner for him, has always wanted him to have a house with a garden, especially considering the fact that he is this big star who can afford it. 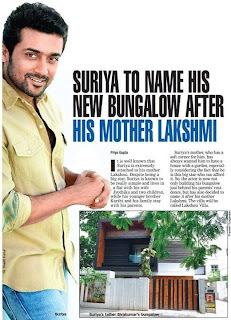 So, the actor is now not only building his bungalow just behind his parents' residence, but has also decided to name it after his mother Lakshmi. The villa will be called Lakshmi Villa.